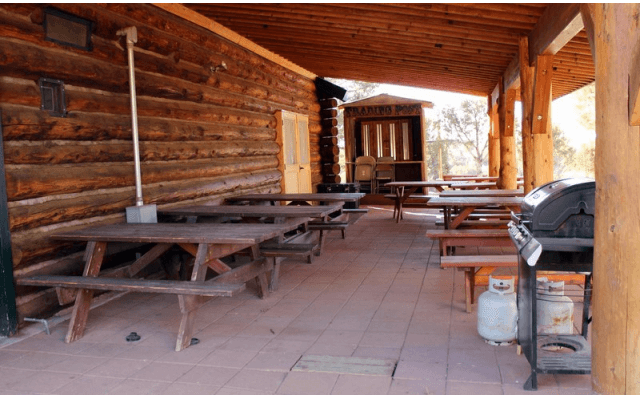 Eagle Lodge is a log building that provides a large commercial kitchen and indoor/outdoor dining and meeting area for up to 100 people. 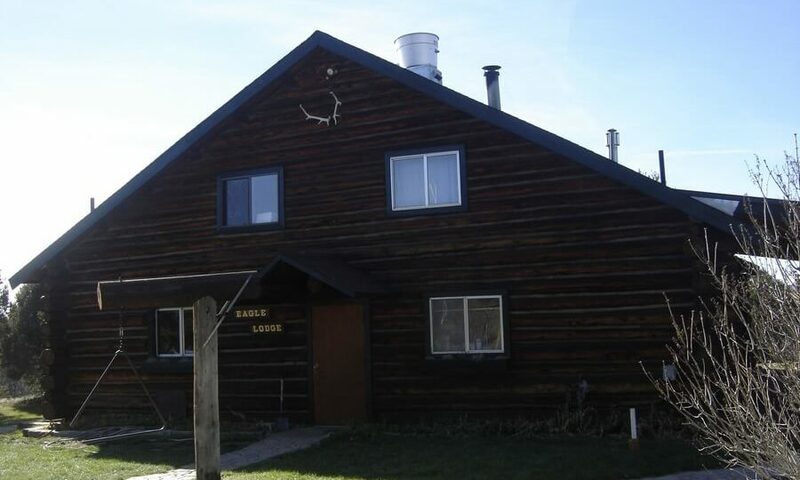 Built with logs from the scenic San Juan Mountains, Eagle Lodge offers a rustic dining experience with modern amenities. 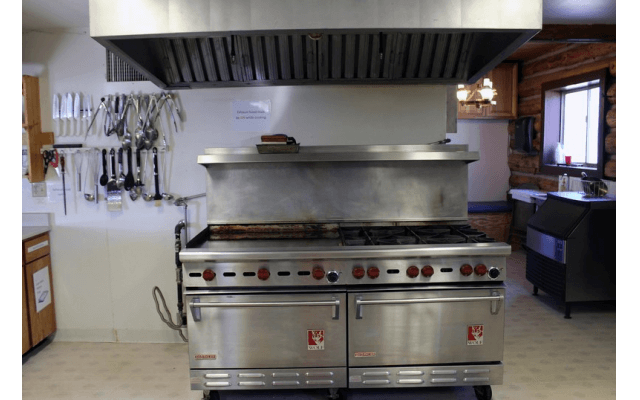 The commercial kitchen is fully furnished with a six burner gas range, large griddle, and 2 convection ovens. 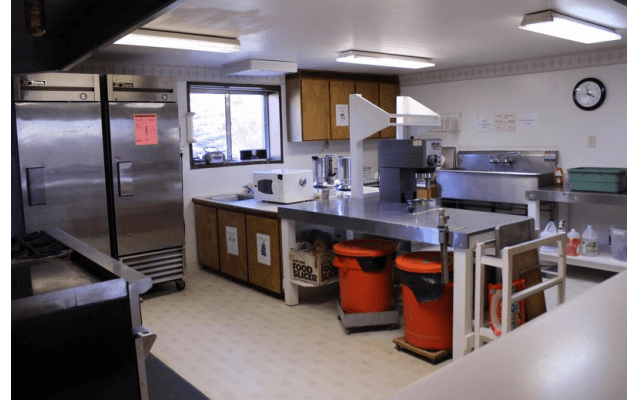 There are also commercial refrigerators, a freezer, commercial sink, microwave, coffee makers, ice machine, toasters, stand mixer, and all the food preparation items you should need. The kitchen is supplied with enough place settings for 100 people. It is also stocked with dish soap, dish washing supplies, trash bags, other cleanings supplies, and aprons. 10 round tables indoors seat up to 8 each. 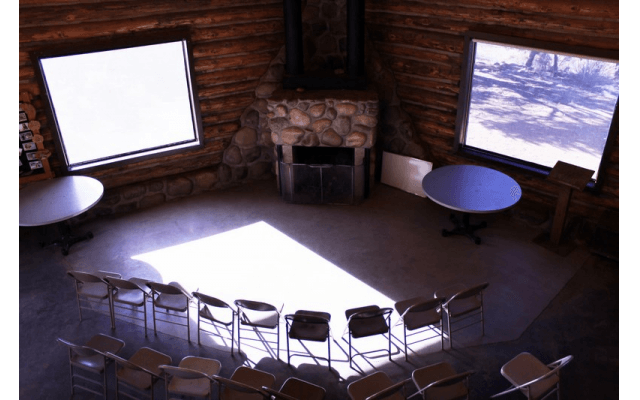 A covered and enclosable outdoor patio provides additional seating for up to 100 total. 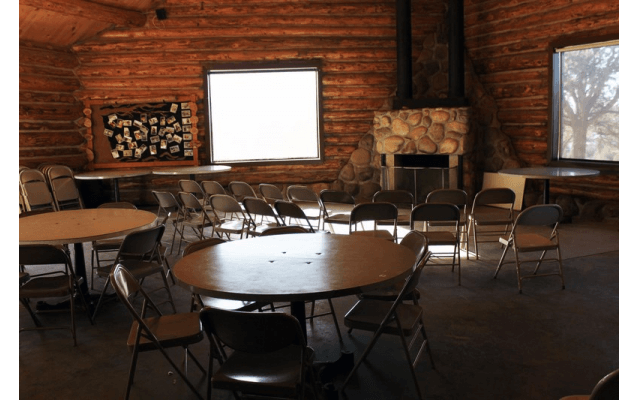 The indoor dining space can be easily cleared and set up for large meetings and is equipped with a projector, screen, and sound system that can be utilized for an additional fee. 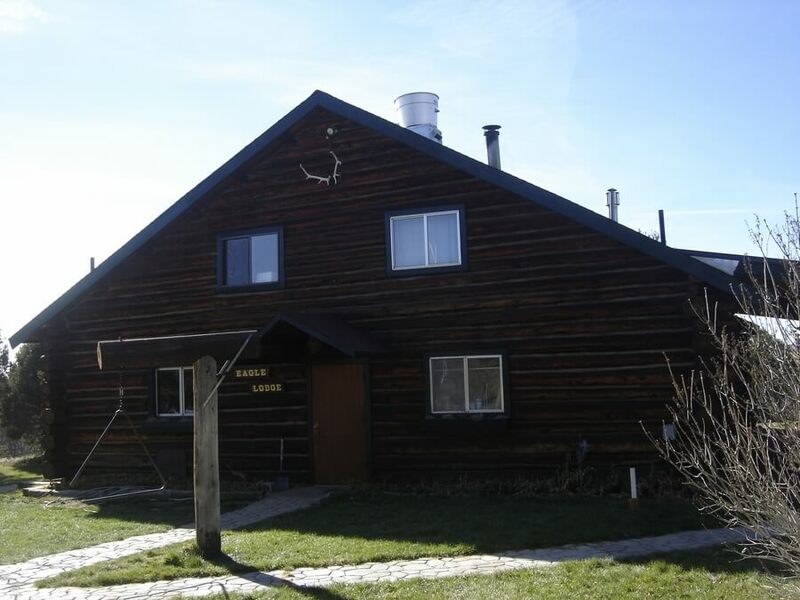 There are also two restrooms located inside Eagle Lodge.